My first days at Tech were completely the opposite — but also exactly the same — as my last days at this university. I was excited to leave home and be on my own for the first time in my life. Now I am excited to leave Tech and get a job, if I can even find one. I chose to get a Masters because the job search was not going well. Now, every position I apply to gets cancelled, whether by job cuts or executive orders. I assumed I was the smartest guy around, and now many people think I am the smartest guy around. I used to help my friends with classwork, and now I am a certified master tutor who has helped hundreds of Tech students. As an undergraduate student, I presumed that some TAs and professors did not care about their students. At the time, I believed that it was not true, and I was just taking my gripes out on them. After meeting these TAs and professors in different capacities over the years, I know for a fact that some of them are bad: some TAs are only in it for the underage beer money and are terrible. One professor in particular allegedly did not believe many of his students deserved to be engineers. I used to procrastinate my work until the last minute because I was lazy. Now, I am writing this editorial at the last minute because I have two campus jobs, a massive group project, and an 84-page thesis that have taken up about 100 percent of my time. I wrote 50 pages in a single week, not out of procrastination but because that was the only free time I could take advantage of. I used to read books nonstop, to the point where my parents would ground me from reading. Now, I read research papers, and I am in trouble if I do not. I used to avoid reading the news because it did not seem relevant. Now I avoid reading the news because it is too relevant and draining. It goes on and on. I think it is because I like constancy but acknowledge that things are in fact changing, that I am changing. I have changed, Tech has changed, but things have stayed the same. And now I am done. The newspaper is being sent out less than an hour from the time of writing. My group project that I have spent a stupid amount of time on worked for the first time when all the judges were watching. I am almost done editing my thesis and getting signatures to graduate. So here ends the story of Nicholas Andrew “Nick” Johnson, clarified because there are currently three Nicholas A. Johnsons on campus, one of whom mistakenly received one of his paychecks. At 23, he ended his watch on Thursday, April 20, 2017, while riding a rollercoaster of a semester. 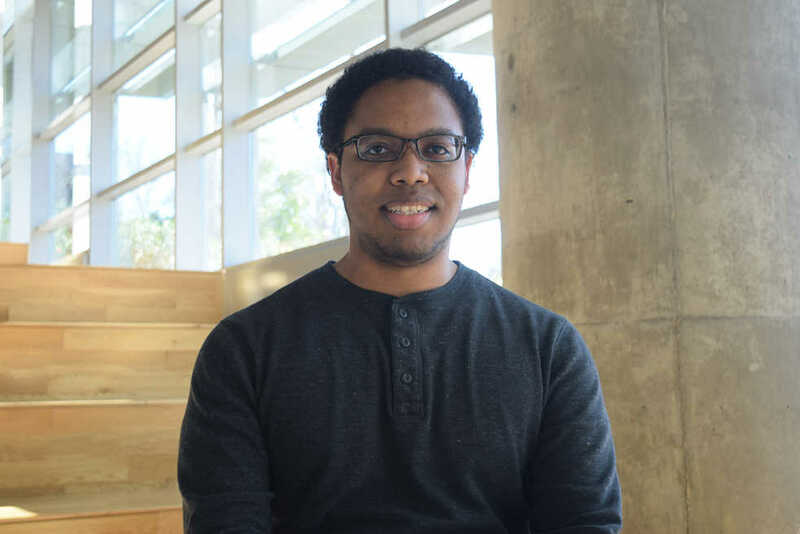 Born in New Orleans, Louisiana, he received a Bachelor of Science in Mechanical Engineering at Georgia Institute of Technology and is but weeks away from a Masters degree. Nick took pride in being Managing Editor of a great staff at the Technique for two years as well as being a 1-to-1 tutor and mentor at the Center for Academic Success for several years, where he became one of the best tutors to ever work there. In his spare time, nothing occurred because he had no spare time to speak of. Nick is succeeded by his magnificent protege, Samira Bandaru, his beloved assistants, Monica Jamison and Layla Ghazi, and his limited-edition “Cowboy Bebop” Blu-Ray collection. He will surely be missed by many.